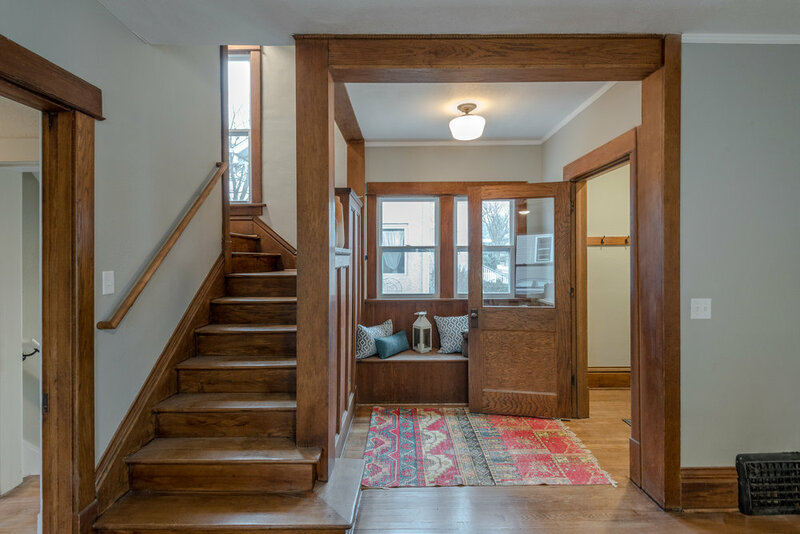 Restored Craftsman 2-story with modern flair. 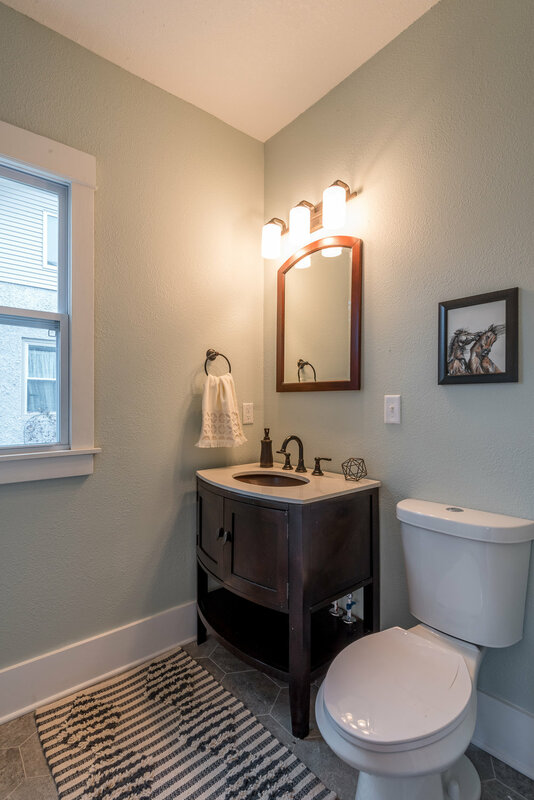 This Craftsman beauty features the very best of old world charm, traditional detailing, and modern conveniences. 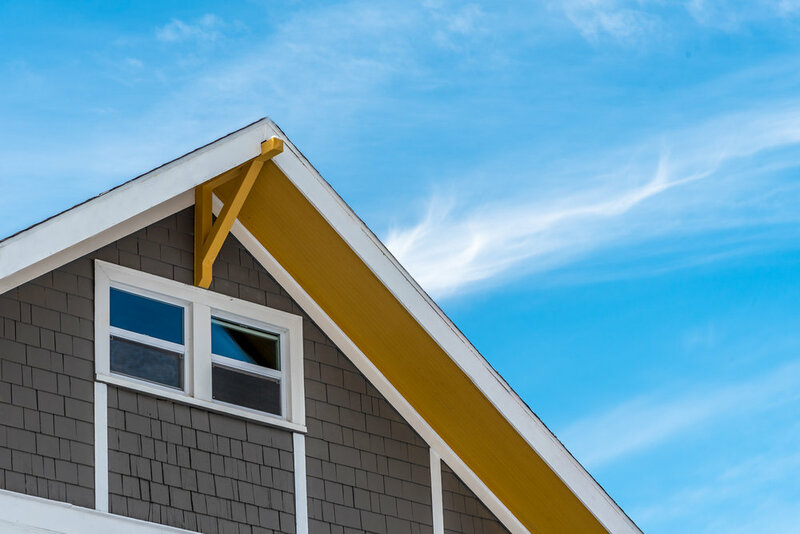 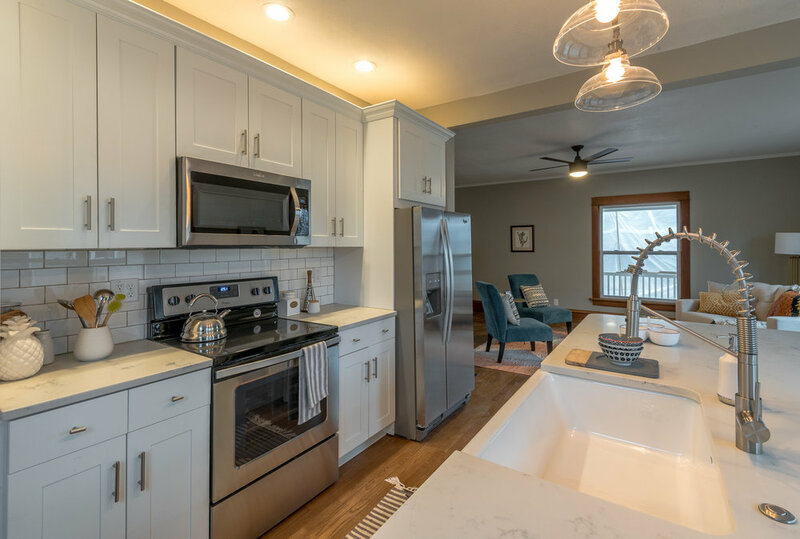 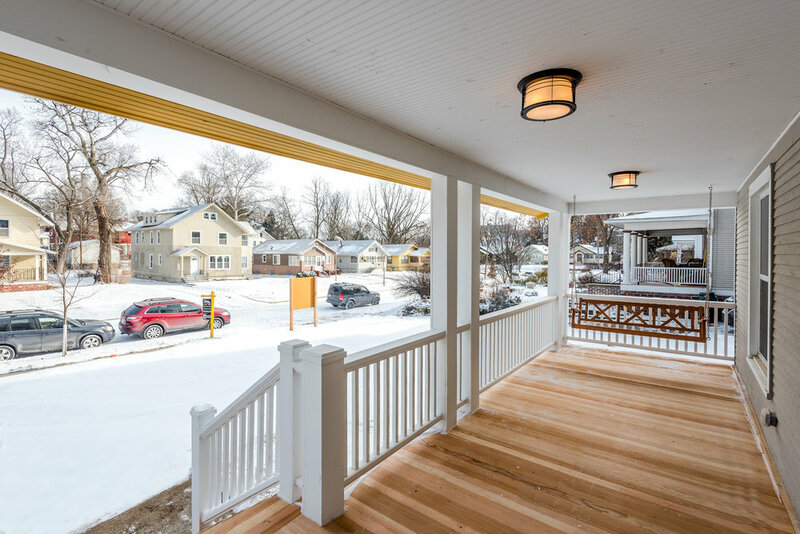 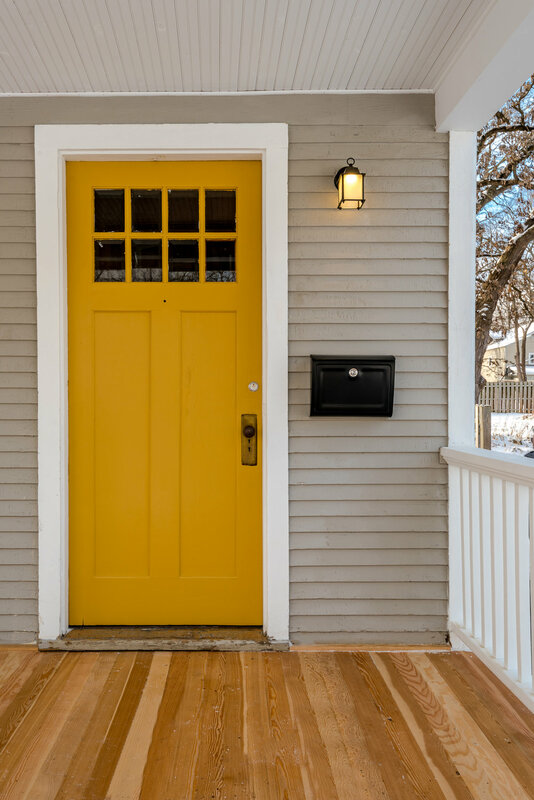 Outside you'll find a completely rebuilt front porch with historical accuracy, a bold color scheme highlighting the original siding details, and a new 2-car garage in the rear. 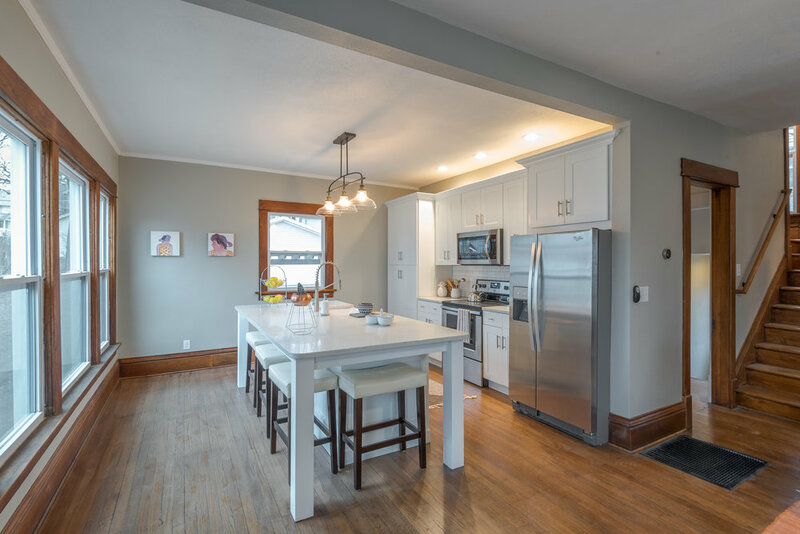 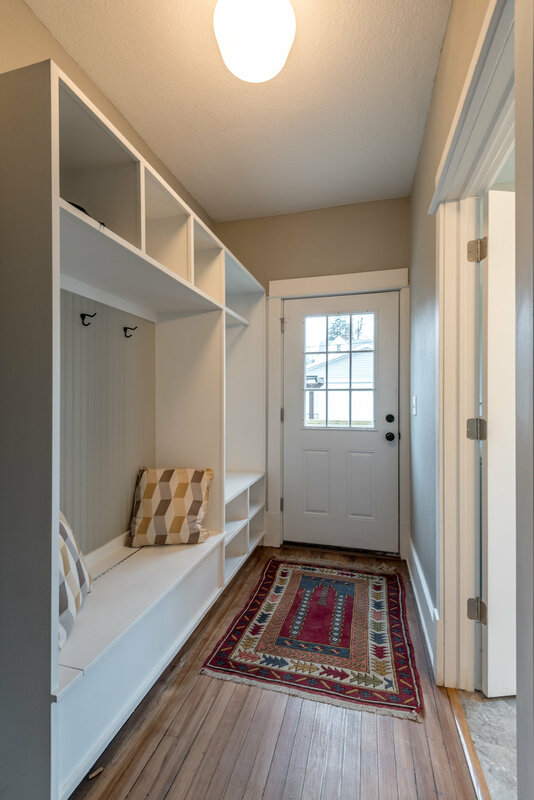 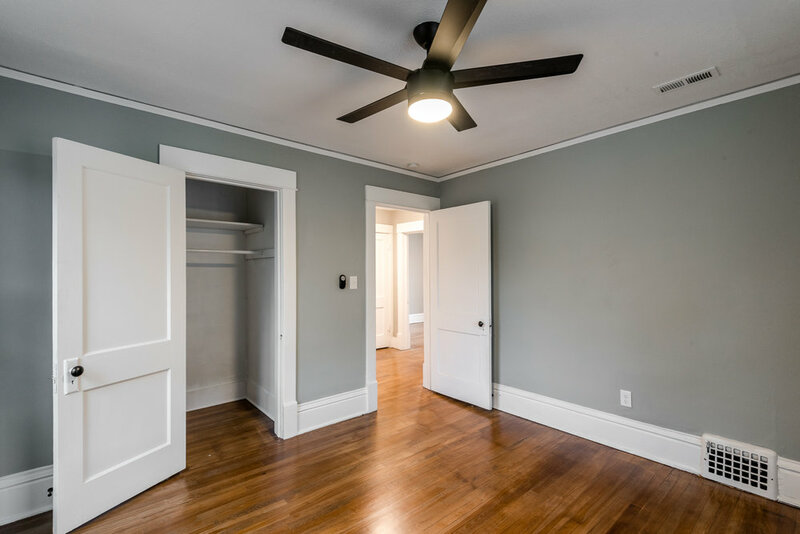 The first floor layout has been thoughtfully revamped to create an open concept living space, all carefully crafted using original wooden trim. 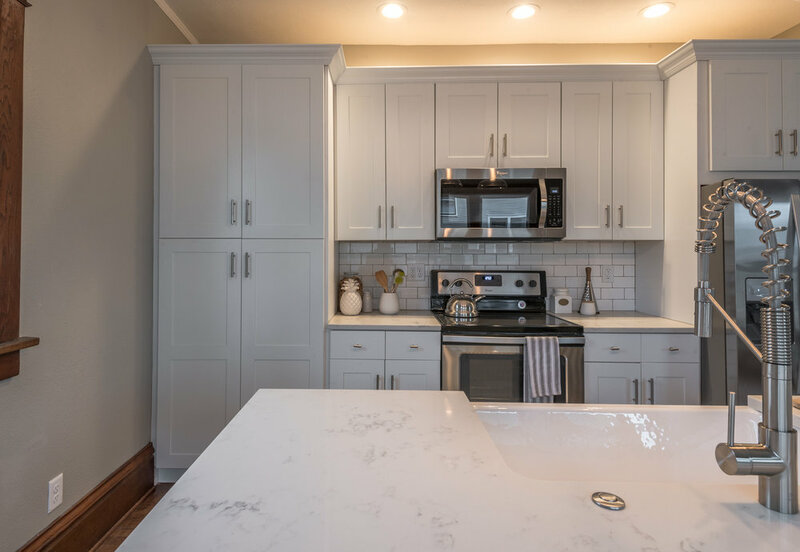 Features include a bright kitchen with a large island and Kohler farmhouse sink, a main-floor half bath and laundry suite, amazing trim work in the front foyer, and a custom drop zone at the rear entrance. 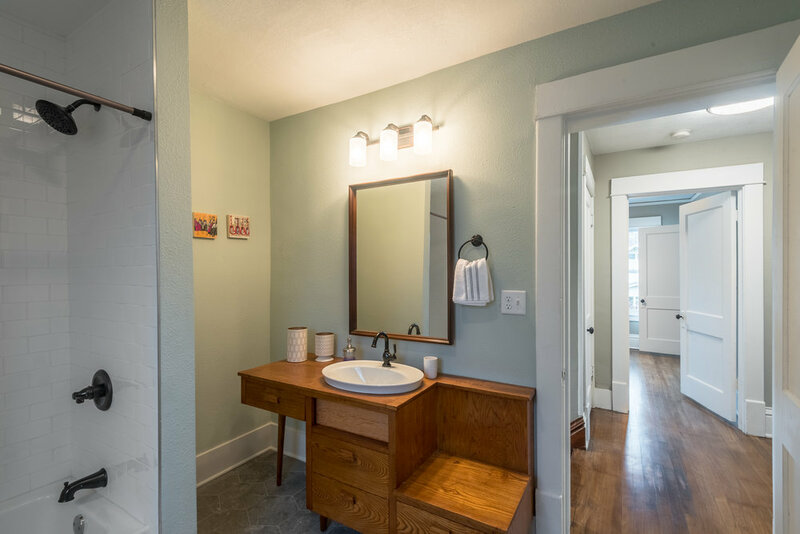 Upstairs are three bedrooms and a spacious full bathroom, where a mid-century writing desk was repurposed into a unique custom vanity.